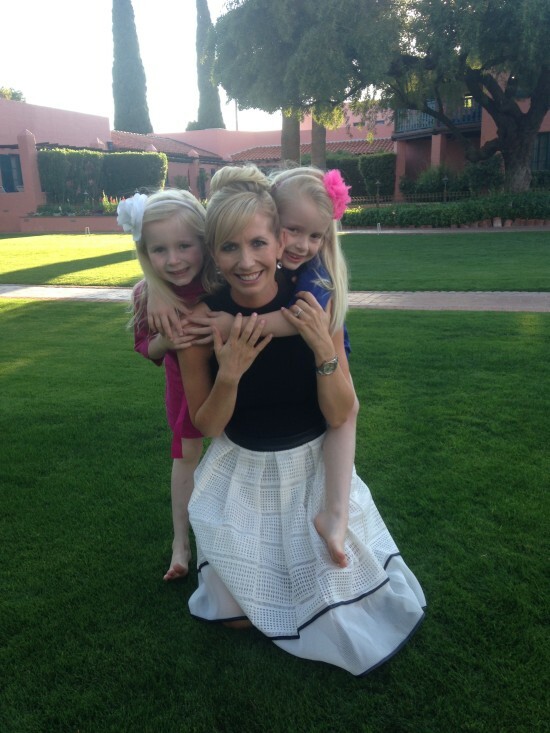 Devoted mother of two beautiful girls, local Arizona television personality Suzanne Bissett Vanderhoff is as stylish off camera as she is on. We love her mix of feminine fabrics (lace!) and figure-flattering cuts paired with modern accessories. Lovely in lace with her husband, Van, at the Palmilla Resort in Cabo, Mexico. 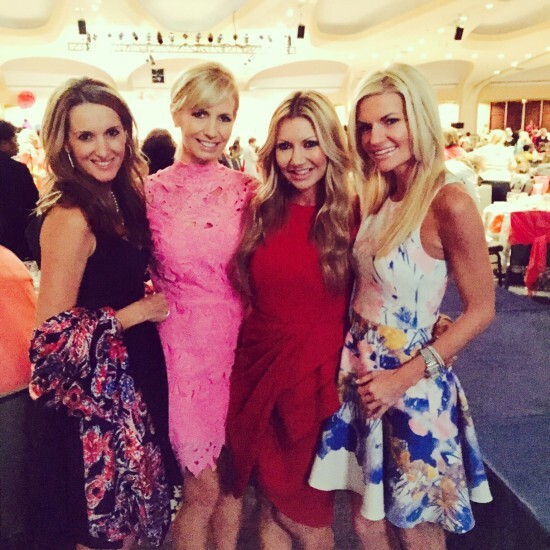 With girlfriends at the First Lady’s Luncheon earlier this year in Washington, DC. Currently the host of the popular lifestyle show Your Life A to Z, Suzanne started with KTVK Channel 3 over 15 years ago as a reporter for Good Evening Arizona! This was followed by a stint hosting Everyday Entertaining, which was a hit with viewers and critics alike, winning her an Emmy twice for “Best Show Host.” Being an entertaining expert comes naturally to Suzanne and in her spare time she loves to cook and create culinary masterpieces with her daughters, Layla (7) and Georgia (5). Growing up in St. Louis, Missouri, Suzanne had a passion for horses and spent most of her time competing in hunter/jumper shows across the country. Her achievements in this sport actually spurred her interest in reporting and television, as you’ll read below. Suzanne ended up in Arizona when she decided to pursue her degree in broadcasting at the Walter Cronkite School of Journalism at Arizona State University. Go Sun Devils! In addition to cooking, Suzanne also loves playing tennis, traveling, and heading to the beaches in Southern California every chance she gets! Classic, Feminine, Colorful, Sophisticated, Vintage, Comfortable. Suzanne in a vintage jumpsuit from Fashion by Robert Black with her girls on Easter. 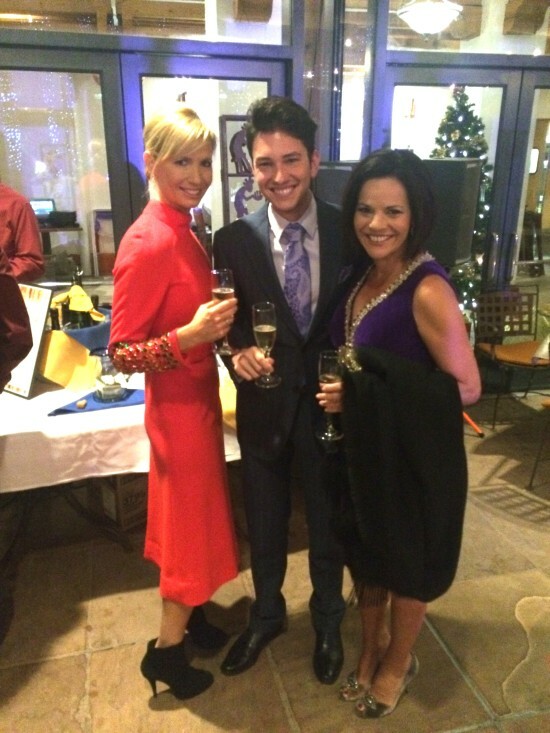 At the “Big Game, Big Give” Superbowl 2015 party with friends Carey Pena and Erika Williams. It was right before my senior year when a sports reporter from a local station in St. Louis, Missouri came out to my stable to do a story about how I had qualified for the Maclay Finals at the National Horse Show in New York City for show jumping. I was intrigued about how he conducted the interview and how the photographer literally wanted my horse to jump over his camera for the perfect shot. Once I saw the entire process of storytelling and how to put an interesting story together — I was hooked! I did some research and immediately applied to ASU for the Walter Cronkite School of Broadcasting. I am so fortunate to be able to work with such a talented and interesting team of producers. It’s exciting to produce a fresh show every day, not to mention receive cooking lessons on set from some of the most talented chefs in Arizona. And while I do have a somewhat flexible work schedule, my biggest challenge is not always being able to attend every event and volunteer regularly at my daughters’ school. I’ve been in tears before driving to the station because the show tapes during their Halloween party or special program, but I do my best to make sure I’m there for 90% of their events. Winning two Emmys for “Best Show Host” for my previous show, Everyday Entertaining. 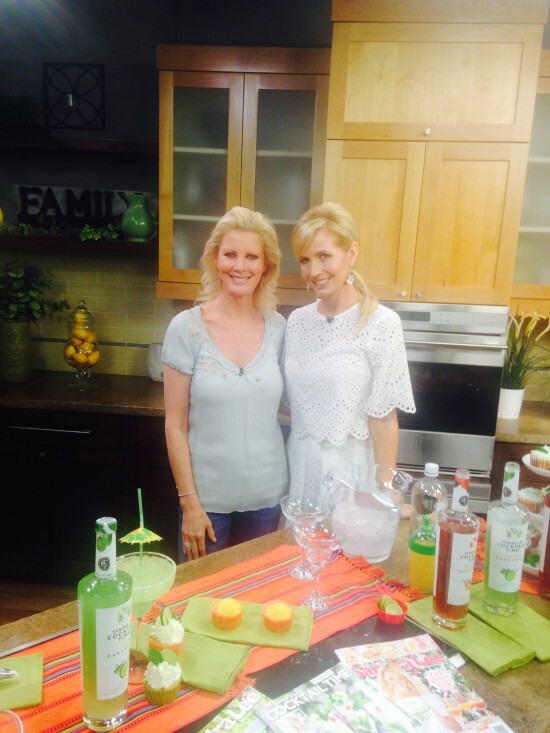 On set with Food Network host Sandra Lee. Suzanne in her go-to booties emceeing an event with Chef Gabriele Bertaccini with Il Tocco Food and her co-host, Marlene Galan Woods. My black suede ankle booties. I can wear them casual with jeans or dressy with a full skirt. The first thing I do is keep my closet organized! Once I wear a shirt or a dress, I put it on the right side of my closet. That way everything gets cycled through. I also scour websites (I love online boutiques from Great Britain and New Zealand) where I can get unique pieces that no one has seen at great prices! MSL: Top three clothing items or accessories you’re buying for summer? Jumpsuits, maxi dresses, long layered necklaces. 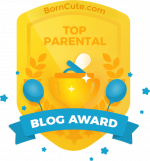 MSL: What is your favorite part of motherhood? Biggest challenge? My favorite part is seeing my girls experience something for the first time. They have such a spirit for adventure that it makes everything so memorable—I find many times I’m having as much fun as they are! It’s great to feel like a kid again. The biggest challenge is keeping up my energy! They seem not to have been born with a “Relax Mode,” so by 7:00 pm I’m ready to wrap things up and call it a day because I’m exhausted! I love to needlepoint. My grandmother and mother taught me when I was young and it’s my “therapy.” I’ve made belts, pillows, even picture frames! Invest in pieces you know you’re going to wear forever. In the past, I used to go for quantity over quality. Now, I splurge with basic staples and I’m still wearing pieces I bought 10 years ago! Also, don’t be afraid to try vintage pieces. This is my new obsession. You can find amazing dresses or jumpsuits that are incredibly made—and best of all—no one else has them! Suzanne is definitely a fashion muse – one of the most stylish moms I know!! What a great piece! Suz is my go to for fashion advice and I love that this article shows her savvy and class.